Please be aware of the following. 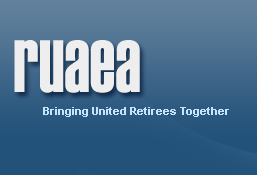 It has come to RUAEA's attention that some Retirees are abusing their travel privileges. Some retirees have been purchasing revenue tickets for flights which they are then listing themselves for. This is considered holding seats out of inventory. Please review the following paragraph which is part of United's Retiree and Employee Travel Policy. The Company views acts of fraud and deception as among the most serious forms of travel abuse. Acts of misconduct aboard Company airplanes or in airport are considered as such terminals or gate rooms, or other lapses such as failure to comply promptly and appropriately with the legitimate directives of ground or flight personnel, using pleasure travel privileges for personal gain, holding a reservation on a flight for which one is standing by, or checking as baggage items or parcels which the traveler merely wants transported, among others. These types of misconduct are likely to result in suspension of travel privileges. If you need medical or security advice or assistance, call us 24 hours a day, 7 days a week (call collect where available) Four cities have telephone service to call for assistance or medical problems. These four cities will refer you to a regional facility nearest your location for medical advise of upset stomachs and up plus offer foreign language assistance, was advised to tell you to not hesitate if you are ill, available 24 hrs/7days when you are away from home in another country. United is a participant in International SOS. CLIP and save with your Passport or other travel docs. Current Departure, Arrival information and flight location in route. Get exceptional car rates for rental cars in the Hawaiian Islands, pick your rental car and best price from 5 different rental car companies. This is a comprehensive travel site which features hotels, cruises, cars, condos, vacations, package deals, shore excursions, RV rentals, and sporting events. It also has a special section for Non Revenue discounts for airline employees, retirees, and their eligibles. Travel sight specializing in Cruises with discounts for Airline Employees - Interline and Seniors. United retirees are eligible to book one cabin under the interline rate on Carnival. NexCruise has the lowest rates around and we NEVER charge a booking fee. We also offer additional discounts and onboard credits when available. 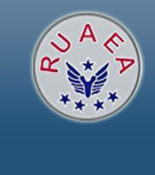 To check rates and availability please visit http://nexcruise.com/ruaea or call us direct at 888-543-1193 or 305-390-8266. Travel Information regarding Hotels, Vacation Rentals, Restaurants at Destinations throughout the world. To sign in for the first time User Name: nonrev and Password: interline - all in lower case. Vacation Rental properties are listed by owners. This site also contains cruises as well. Properties are located throughout the U.S.A and the remainder of the World. These types of rentals and cruise packages are similar in kind to those that used to appear in United's Friendly Times. They are however in most instances not owned by Airline Employees or Retirees. Great vacation deals especially on cruises and hotels. Great Vacation Deals! Get Access to Special Rates. Book Today!